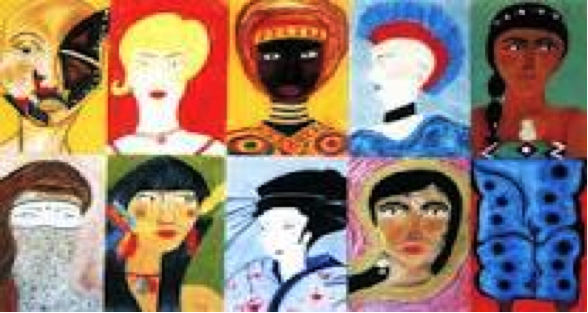 As I was interviewing women for “The Woman in the Mirror: How to Stop Confusing What You Look Like with Who You Are” (www.womaninthemirrorbook.com), I realized that every one of us has a mirror story to share. At some point in our lives, we have all had some experience that has led us temporarily or permanently to confuse body esteem with self-esteem. The mirror can be a foe, but it can also become a friend. In the book, I help women pave a personalized path to separating self-esteem from body esteem forever. 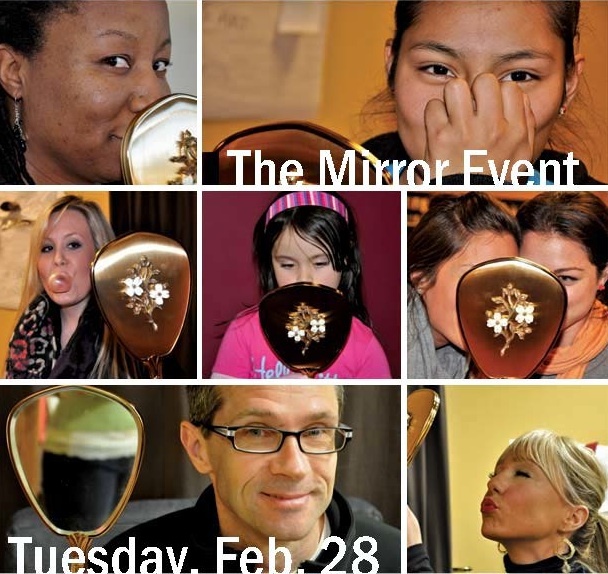 I invite all of you to share your mirror stories here–not only the mirror horror stories, but also the uplifting mirror stories that illustrate how mirrors can be positive forces in our lives. I’ll also provide links to interesting mirror stories for you to reflect on. We welcome your reflections! To send me your reflections, leave a comment or email me here . When I read about the mom who put her 8-year-old on a diet, it hammered home to me how broken our national narrative about child weight is. We have no script, and the ones that are being written (like the Vogue approach) should be left on the cutting room floor. Here’s an excerpt from the chapter on Protecting the Next Generation from The Woman in the Mirror. I don’t have all of the answers either, but I do have some alternatives. You want to protect your daughters from having to go through what you have gone through battling negative self-talk. However, you can only do so much, you are but one of many factors that will influence her developing self-concept. Although your maternal instinct would love to be able to, you simply cannot protect your daughters from everything. This does not mean you are powerless. In fact, you can be a powerful role model and help your daughter and other girls around you defend themselves from the lure of negative self-talk. When your daughter uses your eyes as a mirror, what does she see? Does she see a loving mother who appreciates and respects her for who she is and what she has accomplished. Or does she see a reflection of her flaws, “You could lose a few pounds, get a better haircut, dress more neatly, improve those grades”? This is the tightrope of parenting. You want to help our children become all that they can be without criticizing them for who they are. Developing healthy boundaries between yourself and your child starts the moment they are born. Especially with all of the focus on child obesity and child BMI, mothers are becoming ever more preoccupied with their children’s weight. As children grow, others are bound to make comments about their shape and weight and developmental progress and often these comments are comparative. At five months, my first born was positively roly-poly. We called him the Michelin man (now I would consider that to be fat talk), but we would literally find food in his fat rolls at bath time. This was completely natural. He was a fully breastfed baby and he was not yet mobile. As soon as he started crawling like a madman, he shed his rolls. But comments from outsiders were intrusive. A well-meaning relative who was wary of breastfeeding said, “Maybe you should stop breastfeeding, you can’t tell how much he is getting that way.” Not only was that a bad health recommendation, but it was a suggestion that I was incompetent to feed my child properly, and included an embedded comment that he was too fat for his age. Then later when he went through the lanky toddler phase, the same relative asked, “Are you feeding him enough? He looks like a rail.” Well, indeed he does, he’s supposed to be lanky at this age. People feel compelled to talk about size—especially when it comes in extremes. In neither of these situations, however, was my baby a reflection of me. My baby was a reflection of himself and of normal child development and his eating and activity patterns at the time. But these outsiders tried to make him a reflection of me and my competence as a parent. I had to draw the boundary not only in my own head, but in communicating with them. I thanked them for their concern, indicated that I would take their suggestion under advisement, and then proceeded to ignore everything they said. Once your children become cognizant of what people are saying and doing around them, your measures to protect them have to become more active. When others make inappropriate comments, you may experience it as judgment and it may be judgmental, but it could also be motivated by the best of intentions or by sheer ignorance. How you respond may vary from culture to culture, with who the person is, and with what role he or she plays in your child’s life, but in most cases it is acceptable to simply say “Thanks for your concern” and not feel that you have to justify yourself or your child. We know, however, that these comments may still get under your skin and make you start to doubt yourself. What can you do to help these comments have less of an impact on you and your child? Returning to the example of my junior colleague whose mother-in-law always comments on her daughter’s appearance and her son’s personality, she has developed both active and reactive ways to protect her daughter from these comments. First, she tries to beat her mother-in-law to it by being the first one to talk and detailing all of the wonderful non-appearance-related things her daughter has been up to. The first thing her daughter hears is that her mother wants to tell relatives about things other than her appearance. If, however, mother-in-law beats her to it, then she just says thank you and adds all of the other wonderful things about her daughter she wants to convey. That way her daughter still hears what is important to her mother and not just the mother-in-law’s appearance focused compliments. This year her daughter asked, “Why does grandma always just talk about how I look?” When they are old enough to provide their own commentary, you have to decide at what level to answer your child. My friend just said, “Grandma has always been interested in how people look, but we value all sorts of things about people like their brains, their sense of humor, and how loving they are.” It became a teachable moment when mother and daughter could have a frank discussion about values and relationships. Her very clever daughter responded, “I know appearances aren’t important mom!” validating all of the buffering work she had done for so many years. Although it is valuable to think deeply about the complex and intertwined psychology of mothers and daughters, what most moms (of all ages) want and need are more practical and here and now solutions for protecting their daughters. I have been following sociologist and emerging colleague Kjerstin Gruys for the past 365 days as she has admirably gone completely without mirrors and cataloged the truths that have emerged for her as she blazed this trail. It has been am amazing journey to watch and today is Day 365! I had hoped to be able to hop on a plane and be in San Francisco for the first look party, but was unable to swing that (why aren’t there direct flights between Raleigh-Durham and SFO?). But I woke up this morning to the honor of having an interview we did last week featured on her Day 365 post! I agree with Kjerstin that it is kind of eerie that I was writing about women in mirrors just as Kjerstin was grappling with the impact of the absence of mirrors on her psychology and self-perception. This is like a Day 365 syzygy of our work. Read my interview here and stay tuned to her blog for more on the First Look! Resounding kudos to Kjerstin for an amazingly ambitious and brave project. How do you approach the mirror? Optimistically with a smile on your face, or with trepidation and anxiety about what you might encounter? When I was researching the book I spent far too much time watching women watch themselves. Only rarely did I ever see a woman approach a rest room mirror with a positive look on her face. More common were scowls and frowns and facial expressions that signaled disapproval. I watched how women used the mirror and it was primarily like a flaw detector—scanning from top to bottom looking for every out of place hair, wrinkle, mussed up eye liner, fleck between the teeth, blemish, and of course the ubiquitous side glance to see how fat they looked. They also rarely left the mirror smiling. Whatever positive features they may have encountered during their scan obviously paled in comparison to the flaws they found. If I had a thought activated recorder, I can only imagine the negative self-commentary that would be running through their heads as they surveyed their imperfections. The goal of The Mirror Project is to change all of this and to develop a new relationship with your reflection. I have been traveling around with The Mirror offering people the opportunity to join the Mirror Project and become one of a thousand faces that will be the foundation for the project. This week, we’re taking to the streets with The Mirror to get some candid reactions of passersby. On Tuesday we’ll be at the UNC Campus for National Eating Disorders Awareness Week events to capture Carolina in the mirror! On Friday, the mirror will travel with me to the Binge Eating Disorder Association conference in Philadelphia and we’ll give BEDA attendees the opportunity to capture BEDA in the mirror. The goal is to have fun with your reflection, change that internal dialogue, and when you see your reflection, say something positive about who you are and what you contribute to the world instead of reciting your litany of flaws. Think back on your relationship with the mirror. When did you start to really notice your reflection? When did you start to spend more time analyzing your appearance? Most people would say some time in junior high or high school. You are faced with new pressures to look and act a certain way, and mirrors are often used to “achieve” your goals. Administrators at a co-ed public school in northern England became concerned as they watched 13- through 16-year old girls go through this transition and spend more time in the loo (bathroom!) socializing and applying make-up. To solve the problem, the school decided on a rather drastic policy: remove the mirrors. School officials have not decided how long they will implement the mirror ban, but the head teacher, John MacNally, explains that the policy (along with a make-up ban) has done wonders to help get girls out of the bathrooms. While some girls complain because they felt more confident wearing make-up, other girls are relieved to feel less pressure to look perfect. Teachers believe that the make-up and mirror ban will help girls to focus on their studies and to pursue more worthwhile past times. Would you have enjoyed a make-up/mirror ban in high school? How would your life have changed? To read more about this school’s policy, click here. I am clearly not immune to negative self-talk! Any of you who have ever had a mammogram know the drill. You walk into the waiting room, strip from waist up and put on a completely flattering hospital gown. 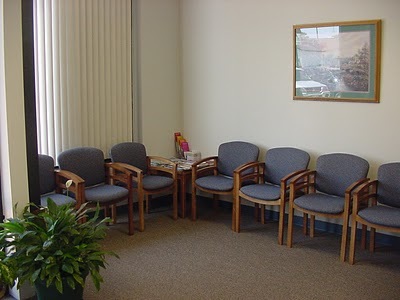 Then you sit in a waiting room with women some of whom are there for routine screenings, some of whom are there for more intensive imaging, some waiting for infusions, some sporting bright hats or scarves covering their bald heads. The TV is usually on, women are on their phones, everyone is tense for one reason or another. So there I was yesterday, all of this serious health care going on around me, shivering in my flattering gown, a pair of pants, and my usual comfortable shoes. If I am being gracious with myself, perhaps I just didn’t want to be thinking about all of the pain around me or my own anxiety about my own test results. But I got out of my head and off of my computer and joined the conversation. It was one woman’s birthday (not her preferred way to spend it) and her mother-in-law had just turned 101. Another had been waiting for three hours and was hungry, and her sweet husband brought her food to the waiting room. Old or young, Black, white, Hispanic, we are all there for the same reason. Communities of support can form very rapidly and once I got my mind off of my feet, I joined the community rather than being an observer. Women are amazing. I was lucky to walk out with a pink slip, but others weren’t so fortunate. Interestingly, there were no mirrors in the changing rooms. That was a smart move on someone’s part. Sandi Amorim, a coach & self-acclaimed instigator, understands what a lot of women feel when they look in the mirror. Today, rather than allowing us to have negative thoughts, she challenges each of us to a two-minute task. To read her philosophy and to see how you perform, click here. Post your results on her blog so other women will be encouraged to try it out! What do you think? Could this new attitude be permanently adopted? Qué es el espejo sino un reflejo de una imagen, más no la realidad en sí misma. Cuando nos paramos frente a un espejo, no sólo nos enfrentamos al reflejo de nuestra imagen, sino también a todas las valoraciones que hemos integrado de nosotras mismas mediado por la historia y la cultura. Para muchas mujeres es un reto mirarse al espejo y no entremezclar su imagen o reflejo corporal con su estima propia como menciona la Dra. Cynthia Bulik en su libro “The woman in the Mirror” o La mujer en el espejo. El reto es aún mayor cuando nuestra valoración está condicionada por lo que los demás definen como bello, exitoso y/o ideal. Es entonces cuando nuestros propios deseos se pierden y comenzamos una carrera infructuosa, tratando de complacer al otro y adoptando los deseos del otro en una búsqueda de aceptación y reconocimiento. Muchas veces olvidamos que en esta carrera se va perdiendo nuestra esencia y autenticidad, creando incongruencias y falsedades que producen mucha insatisfacción. Erróneamente tratamos de definirnos por lo que vemos en el espejo, en vez de aprender a valorar nuestra realidad interna y reflejarla no sólo frente al espejo, sino también, frente a las personas que nos rodean. Reconocer y aceptar lo que nos hace diferentes es evocar nuestro ser como único, dando la satisfacción de que somos lo que realmente queremos ser y no lo que pautan los demás. La globalización en los tiempos modernos nos ha enfrentado a la diversidad y reclamamos tolerancia ante las diferencias. Sin embargo, muchas veces no reclamamos ni somos tolerantes aceptando nuestra propia diversidad, la cual es finalmente nuestra identidad. No tenemos que ser igual al otro para ser aceptados o amados. Somos libres cuando no tenemos miedo a ser únicas, con nuestras similitudes y nuestras diferencias. Es desde un posicionamiento de amor incondicional hacia nosotras mismas que podemos ser capaces de aceptarnos y, que los demás nos reconozcan por lo que somos y no por el reflejo de un espejo, que al fin al cabo es sólo un reflejo y no la realidad en sí misma. Scientists in the Steward Observatory Mirror Lab at the University of Arizona are taking on a project that many critics deemed impossible: to create the largest telescope ever built. Nicknamed the Giant Magellan Telescope (GMT), the telescope will acquire images that are ten times sharper than the Hubble Telescope and will allow scientists to finally take a look at the first stars created after the Big Bang. The telescope will consist of a central mirror and six surrounding mirrors that create an “off-axis” design. The entire structure will be approximately the size of a basketball court. Each mirror must be completely smooth to prevent light from scattering. In addition, because these scientists are trying to create the first-ever asymmetric mirrors, the cooled mirrors must be delicately polished. As they attempt to perfect the technique, scientists anticipate that this first mirror may take up to seven years to polish properly! In the end, the GMT will be placed in the Chilean Atacama Desert for use in the year 2020. Project Director Patrick McCarthy explains that he “believe[s] the GMT will be one of the defining instruments of how science will be done in the 21st century”. As scientists use the GMT to view the farthest, oldest stars in the galaxy, we will have our trusted mirrors to thank. To read more about the GMT, click here. Humans Can Recognize Themselves in the Mirror…But Can Birds? When a woman looks in the mirror, she is able to recognize her own reflection. She may think she is having a great hair day or detect new wrinkles, but she is undoubtedly aware that she is looking at herself. For years, scientists have been curious about self-recognition in other animal species. Chimpanzees, elephants, dolphins and orangutans are all able to self-recognize. In contrast, when researchers at the University of Goethe in Frankfurt, Germany focused on birds, they ultimately determined that flamingos, grey parrots, and jungle crows do not self-recognize when looking in a mirror and react as if they are seeing another member of their own species. Now, these same researchers are focusing on a “smarter” bird: the magpie. In other words, magpies are able to recognize themselves but have no emotional attachments to their reflection. Couldn’t some of us benefit from this mentality? So I have been waiting to talk about this until everything is up and running, but I can’t wait any longer! So, it all started innocently when I brought The Mirror along with me to a couple of readings and interviews. I figured I would get a few pictures of people with The Mirror and that would be it. But then, something happened. Everyone wanted in on the action. Something about her just jazzes people. She is a really user-friendly mirror. She’s like a mirror that your grandmother used to have. People aren’t scared of her and she seems to bring out something very special in everyone. I am going places now and people are asking me if I have The Mirror with me—they want to have their picture taken with her too. And not just women! Guys are getting in on the action.